Energy Saving Dimplex - ATC Panel Heater Repair - Replacement Dublin. Modern in design and are supplied with a wall mounting bracket for ease of installation. Comes with 24 month Ecoelectricheatiers.ie parts and labour warranty. We also provide ATC heater repair with quick response times guaranteed. 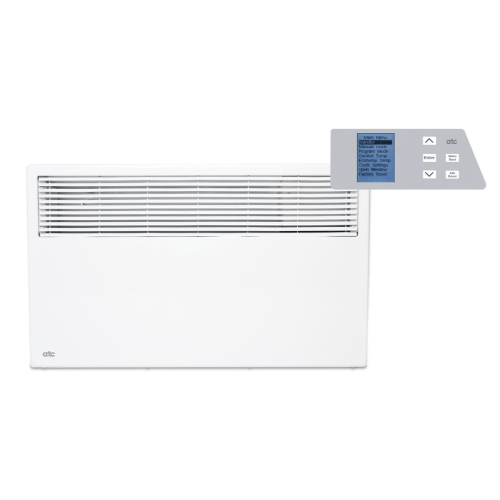 Ideal for the home, office or shop, the Sunray Panel Heater range is available from 1500W to 2000W and comes with a built in analogue 24 hour timeclock for accurate time control and energy saving. Approvals: CE, Intertek GS, RoHs.